After some heavy rain during the night that woke me up I was hoping there might be some much needed colour in the river today. I got to the Royal Oak and we had eleven fishing again, including Heardy who was joining us for the first time in ages. 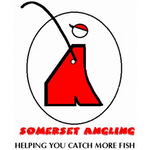 Hurf and Jake had been down to North Bradon in the week and cut out some swims (thank you) so it would be interesting to see how they fished today, elsewhere I really fancied 14, 15 or 120 per usual. Rob announced the draw and I went in quite late and grabbed a ball but didn’t look, Hurf hadn’t looked at his either although he did say 14 and 120 had already gone. As people were writing their names on the weigh boards and heading off, the only two pegs without a name next to them were 97 and 129 and I was really hoping I’d avoided the latter as it had struggled last week. Hurf opened his hand and he was on 97, which he really fancied and probably deserved to draw it after going down and cutting the swims out, which left me on 129 and feeling a bit deflated. I got to the river and parked up before going to have a look over the bridge, there was a bit more pace on it but not much in the way of colour. Adie was on Barney’s Bend (126) and Steve P was on 128 both looked nice but I felt we were up against it as we were in with two pegs at Hambridge with John Dursley on H1 and Heardy was on H2 where John had 13lb of chub last week. After several trips I reached my peg and it did look nice, once again I only set up a 1 gram Drennan Tipo with a size 18 Kamasan B611 to 0.10mm. On the side tray were the usual casters, maggots (red and bronze) and Bait-Tech Super Seed Hemp. Peg 129, the sun was a bit of a pain during the early stages of the match! Plumbing up the swim was as deep as I remembered, nearly top three and the depth was pretty consistent from under my feet to about half way across at 8.5 metres before it started to shallow up. 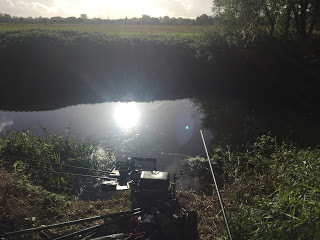 The match got underway and I started fishing three sections to hand with caster on the hook as I’d caught well doing it last week in 128 but apart from a couple of small gudgeon, it wasn’t happening and I was soon shipping out to 8.5 metres to inch the float through in the flow. I was getting plenty of bites but wherever I put the rig a gudgeon would be the result! I was starting to get a little frustrated and it took nearly an hour before I caught a dace from the right of the peg where the flow comes into the bend. I had 21 fish after the first sixty minutes but probably only a pound in weight and things would need to improve drastically if I was going to do any good today. 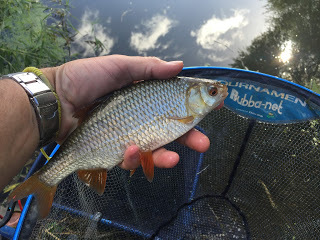 During the second hour, along with the gudgeon, I started to catch the odd dace and chublet but some of them were tiny and I was also getting quite a few minnows which weren’t helping my cause much. 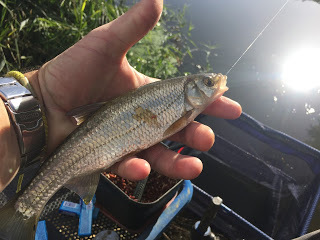 I did hook what felt like a dace but as I was shipping back, it went solid as a pike grabbed an easy meal before moving off and biting through the hooklength. I did manage my first decent roach around 6oz or so and the clicker was reading 40 fish after two hours. As the halfway point approached, I was getting more roach and dace than gudgeon and started to think a half decent weight was achievable. Most of the fish were coming from the right where the flow comes in between 8.5 and 10 metres although I kept trying the inside which I’d been feeding from the start but only added a couple of gudgeon from there all match. With two hours to go I was up to 77 fish (plus minnows) and thankfully I hadn’t suffered anymore pike trouble. During the day a lot of duckweed had been coming down the river and also the level had come up quite a bit and all of a sudden some decent fish started topping. The gudgeon all but disappeared and were replaced with some lovely roach that looked like they’d never seen a hook before. In my best spell of the match I added another 22 fish to put me on 99 with an hour to go and I almost couldn’t get my rig in fast enough! 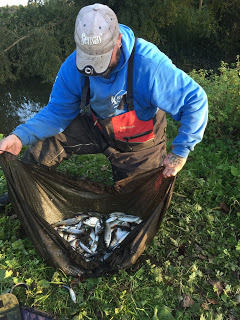 I was really enjoying myself and didn’t want the match to end, my final tally was 117 roach, dace, chublets and gudgeon (plus minnows which I didn’t count), once again I really didn’t have a clue what weight I had, I was pretty sure I had more than last weeks 7lb 10oz but maybe not as much as the 12lb 8oz I had in the first match. 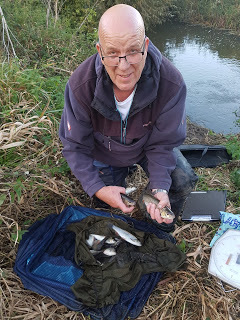 I packed up and as I took my kit back to the car I passed Steve who said he’d struggled for 78 gudgeon and minnows but then added he’d caught a chub! 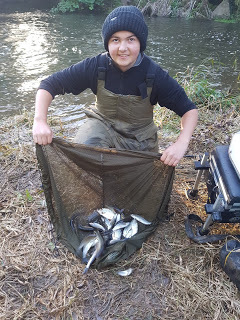 Adie said he thought he had double figures so it was looking like the river had fished really well again. We weighed Steve first and he had 5lb 14oz which included a big chub and he lost one too, I was next and my fish pulled the needle round to 11lb 7oz which I knew wouldn’t be enough today, if only those roach had switched on an hour earlier! 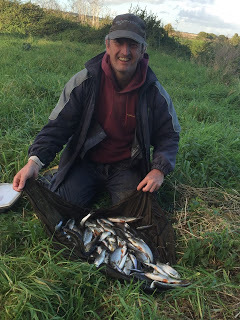 Adie had a lovely net of fish to go into the lead with 13lb 4oz, he said he’d lost some good fish to pike as well. He also said he’d spoken to John earlier and he’d had a chub and some bits and Heardy was blanking with about an hour and a half to go! Back at the results and Stuart had 3lb 14oz from the tank traps, Rob weighed 5lb 15oz from 15, Karl had struggled in peg 96 but Hurf had done well from 97 with 10lb 12oz of chub and he’d lost one as well. 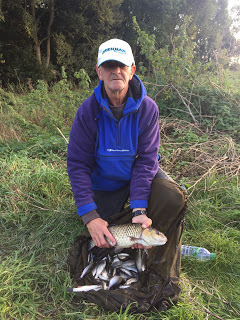 Fieldy had two chub for 4lb 15oz from peg 108 at Redbridge but lost three and Rich S had 2lb 1oz from peg 120. Heardy didn’t weigh from H2 at Hambridge and John had 7lb 10oz from H1 which meant Adie had won his first river match with us and I was second and picked up £33 plus nuggets from Steve P and Hurf. Thanks to Rob Cox* and Steve Hurford** for the photos. 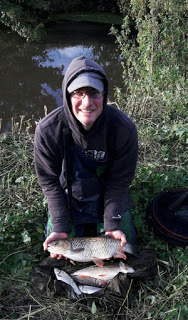 So the river has fished really well again with loads of small fish and it was nice to see some big chub featuring in catches and I think the potential is there for some big weights when we eventually get some rain. In the three matches so far I can honestly say I’ve had a bite a chuck every week and caught 366 fish for 31lb 9oz which is great fishing, more of the same next week please (I’ll probably blank now!). Lovely looking roach. Nice to see it fishing well again. I am tempted. 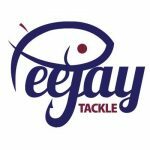 Trouble is I'm totally disorganised, I've never fished a match before, I've never fished a pole and I live about an hour away! But I have been thinking about it.